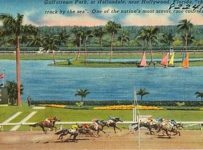 On Saturday, Gulfstream Park and Tampa Bay Downs both had their biggest all-sources handle days of their 2016-2017 race meets. Gulfstream had all-sources handle (total handle) of $14,309,524 for twelve races. That was Saturday’s largest all-sources handle among North American thoroughbred tracks. Tampa Bay’s all-sources handle was $6,217,491 for eleven races. 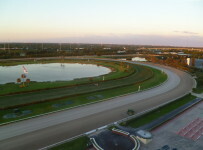 Both Florida tracks had multiple stakes races, along with warm and dry weather. 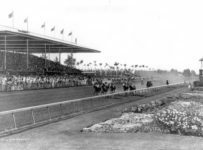 They ran a combined 23 races, with ten on turf. 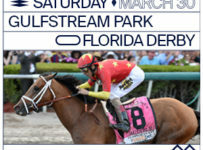 Seven of the turf races were at Gulfstream. 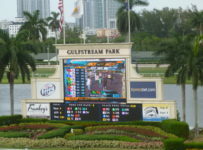 As always, that combination attracted considerable attention among simulcast and Advance Deposit Wagering bettors as well as from fans at Gulfstream in Hallandale Beach and at Tampa Bay Downs in Oldsmar. 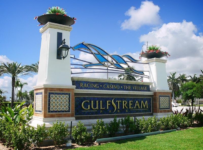 HorseRacingFLA’s review of Equibase charts shows that Gulfstream’s previous best handle for its current championship meet was $13,959,575 for twelve races on Saturday, Jan. 14. 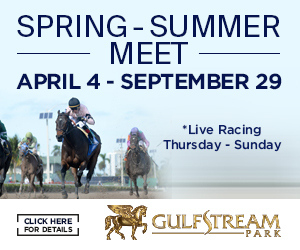 Our research indicates that Gulfstream is on pace to surpass the $9.5 million in daily average all-sources handle that it posted in its 2015-2016 championship meet. That was an all-time record for any Gulfstream meet. 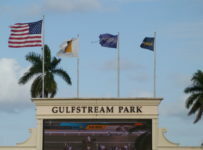 One downside number from Saturday was that Gulfstream had 95 starters for its 12 races. That was an average of 7.9 horses per race, which is relatively low for Gulfstream especially on a Saturday. 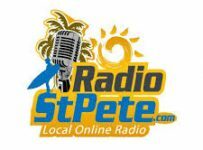 A main reason for Saturday’s low average was that there were only 34 starters in the five Sunshine Millions stakes races, which are restricted to Florida-breds. 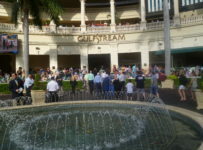 On last year’s Sunshine Millions day, Saturday Jan. 16, Gulfstream had twelve races and all-sources handle of $13,403,868. There were 115 starters, for an average of 9.6 per race. On that day, there were six Sunshine Millions races that had a combined 54 starters. Those six races had total purse money of $1,050,000. 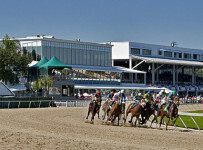 This year’s five Sunshine Millions races had total purses of $600,000. The lower purses were no doubt among reasons that there were fewer entries and thus fewer starters than in 2016. The total was originally scheduled to be $900,000. 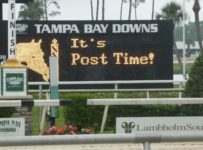 But Gulfstream reduced those purses after the Florida Thoroughbred Breeders’ and Owners’ Association decided not to contribute money for this year’s Sunshine Millions purses. 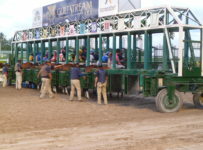 The Florida TBOA and the Florida Horsemen’s Benevolent and Protective Association are involved in a dispute over administration of Florida-bred stakes that are run at Gulfstream. 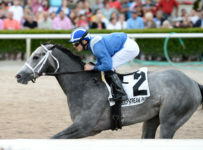 Gulfstream president Tim Ritvo said recently that Gulfstream is hopeful that the breeders and the horsemen will soon agree to provide their annual money for purses for this year’s Florida Sire Stakes series and other Florida-bred races at Gulfstream. On Saturday, Tampa Bay had 102 starters for eleven races. That is an average of 9.3 per race. Its total handle of $6,217,491 included on-track handle of $387,158 from a crowd of 4,202. 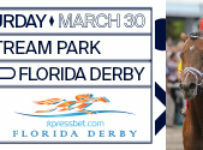 The Oldsmar track’s previous best all-sources handle for the current meet was $5,296,090 for ten races on Dec. 31. *Santa Anita Park in Arcadia, Calif., had all-sources handle of $8,759,522 for nine races. There were 61 starters (average of 6.8) on a clear day with temperatures in the high 50s. *Aqueduct in Ozone Park, N.Y., had all-sources handle of $8,180,936 for nine races. There were 65 starters (average of 7.2) on a cloudy day with temperatures in the high 40s.